Competitive Call of Duty Star Says Leaving Twitch Is His "Biggest Regret"
A year ago, Matthew “NaDeSHoT” Haag announced that he would be streaming Call of Duty on competitive gaming site MLG.TV exclusively in a deal that the New York Times once called “lucrative.” Last weekend, the former top player looked back on that decision—and came pretty close to calling it a mistake. Haag, who has over two million subscribers on YouTube and is the co-owner of the top Call of Duty group named Team OpTic, recently did a fan Q&A vlog. In it, he answers the question “What is your biggest regret?” The section starts around the 1:58 mark below, if you’d like to watch it. 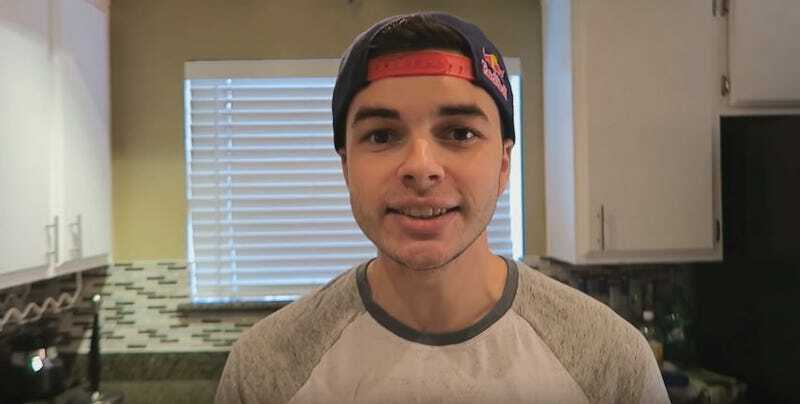 Nadeshot clarifies that while he has no issues with the MLG platform or the people who work there, the consequences of leaving Twitch still weigh heavily on him. This recognition felt huge to Haag—he described a time during which competitive Call of Duty was considered a joke, thanks in large part to the immature stigma that the series carries. But the sheer size of the audience meant that people had to take the competitive scene seriously anyway. “We had strength in numbers,” Haag said. “People were watching our streams. We had thousands of people showing up to our tournaments, and we were just in the best position that competitive Call of Duty has ever been [in],” Haag recalls. Though he’s vague on numbers, Haag says that the viewership on Twitch didn’t jump ship for MLG with the pro players. For Haag, the regret isn’t related to money—last year, he was reported to make nearly a million dollars a year playing Call of Duty. In this video, he calls his financial situation “very comfortable.” But he thinks that his financial gain came “at a cost to a community that I loved, and still do love.” Still, he’s optimistic about the situation. His hope is that, with time, players can build the competitive side of Call of Duty once more. Haag’s frankness here is particularly interesting light of the recent rivalry between Twitch and YouTube Gaming. Twitch is in a good place right now, at least in terms of numbers—it’s one of the top websites in the world, and most of the top gaming streams have a home there. Plenty of folks make a living off of Twitch, too. But with streaming competitors popping up, up-and-coming Twitch streamers are faced with a choice: do they stick around at Twitch, where the features may be wonky but streaming is always growing and booming, or do they leave and pursue other platforms which may offer them a better deal? Meanwhile, already-established streamers on Twitch are often are locked into a contract with an exclusivity clause that doesn’t allow them to leave Twitch in the first place. Streaming is in a very cutthroat place right now, and I imagine that the choice between leaving and staying at Twitch is only further complicated when streamers know that their audiences may not follow them wherever they go. Dang.